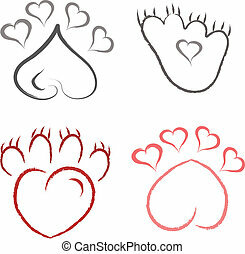 illustration paw print love. 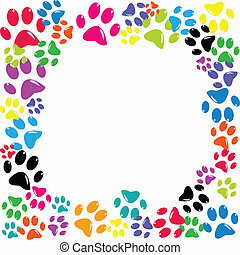 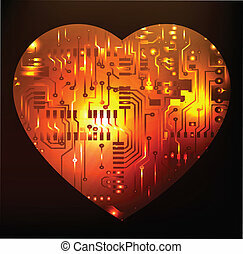 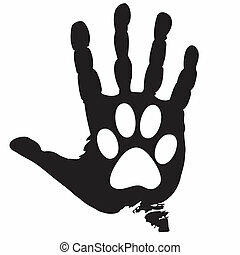 paw print love.vector. 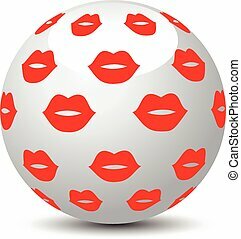 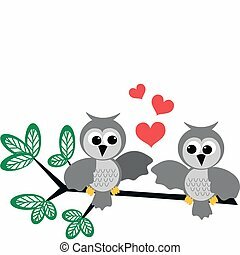 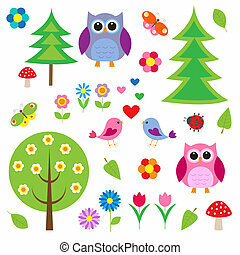 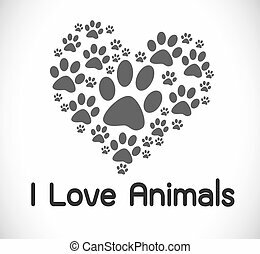 Illustration of people love the animals on a white background. 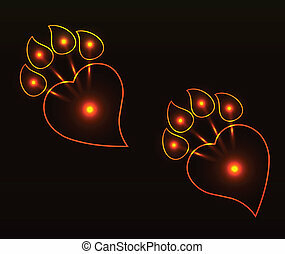 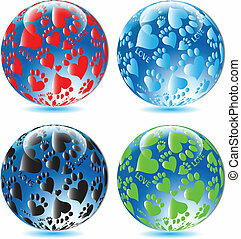 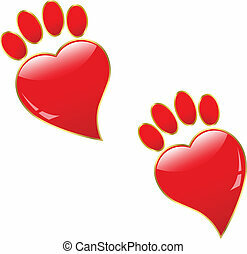 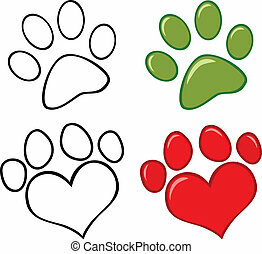 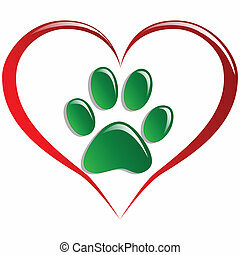 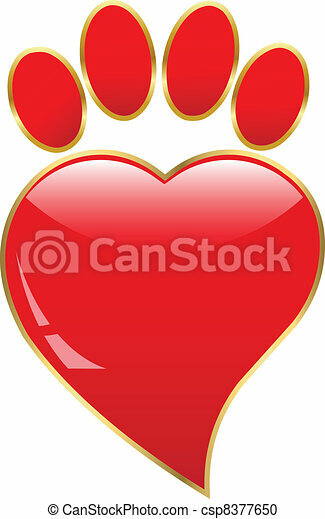 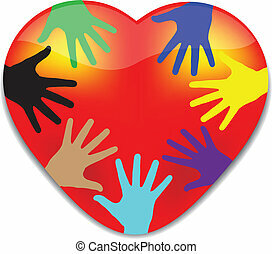 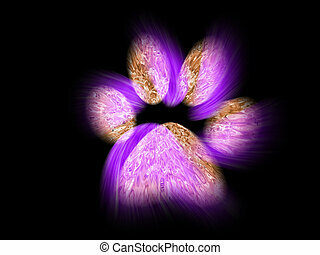 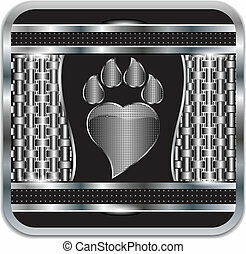 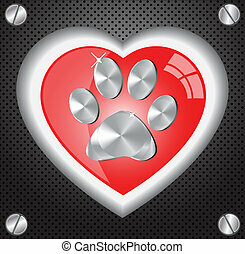 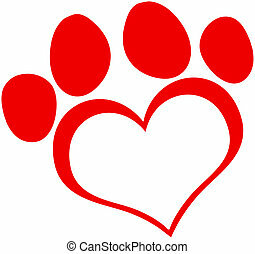 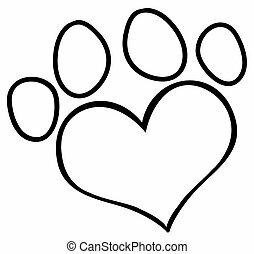 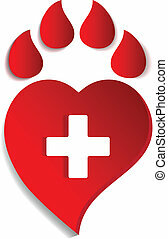 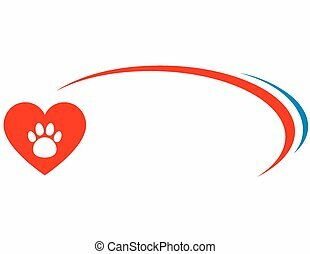 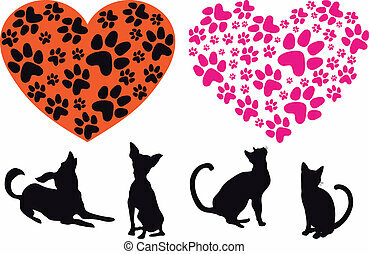 Illustration paws and hearts as a symbol of love for animals. 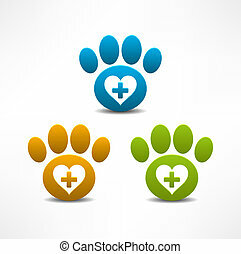 This illustration of the recent results doggy trail.